Litigation in California's Courts is not always the most effective method for resolving a legal dispute. Many Courtrooms are burdened with too many cases, and it can take months or even years to resolve what seem like straightforward matters, with added cost and stress. Many people believe that litigation through the Public Courts is their only option for seeking a binding and impartial resolution to their legal problems. In California, however, parties can utilize alternative dispute resolution services ('ADR') that can offer comparable and even superior dispute resolution services to the Public Court system. Private Judging and Mediation are clear alternatives to litigation in the Superior Courts. Private Dispute Resolution is an allowable alternative to public litigation. Experienced and well qualified Private Judges and Mediators allow differing parties to custom-tailor their dispute resolution options to meet their own personal needs and goals. These alternatives provide options to a limited public court system. In particular, Private Dispute Resolution can help parties resolve their legal matters more quickly, creatively, and cost-effectively. Moreover, this often means that resolving legal disputes happens without the acrimony, frustration, and dissatisfaction that can accompany traditional adversarial litigation. Private Dispute Resolution Services offers Private Judging Services including Mediation, Settlement Conferences, and Special Master services utilizing the skills of Orange County Private Judge and Mediator Commissioner David S. Weinberg (Ret.). 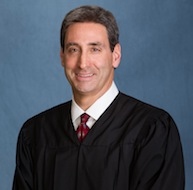 Commissioner Weinberg is a former Judicial Officer who served on the Orange County Superior Court bench. For more than 26 years, he has been exclusively handling matters involving children and their families, spending the last 24 years solving Family Law and Business matters. Commissioner David S. Weinberg (Ret.) served as a Deputy District Attorney, private attorney and Judge Pro Tem before serving on the Orange County Superior Court bench for 10 years. Since then, he has worked as a Private Judge, Arbitrator, Mediator, Settlement Judge and Special Master specializing in Family Law and business matters. He brings over 32 years of experience, insight, and creativity to the cases at hand. Commissioner Weinberg has seen thousands of cases from the modest to the most complex. He is a great asset to parties seeking resolution of marriage dissolution matters, including the division of assets to multifaceted parenting issues. These include settling complex financial arrangements, child custody, child and spousal support matters, premarital agreements, and other Family Law issues. Private Dispute Resolution is not just for the affluent. In fact, in many ways, Private Dispute Resolution can save the conventional litigant money because these services are designed specifically to meet the needs of the parties to resolve their legal dispute quickly and efficiently. In addition to financial savings, Private Dispute Resolution can also save substantial time by enabling the parties to avoid a protracted and contentious legal battle. Private Judging and Mediation may enable the parties to manage how and when they desire to address their legal conflict. One particular advantage is that, since these forms of ADR are arranged between or among private parties, all proceedings, hearings, conferences, and sessions are held in a comfortable setting. Commissioner Weinberg is specifically trained to help the parties reach a mutually agreeable resolution to their conflicts. As a Private Neutral with an in-depth understanding of dispute resolution, he can help parties develop original and creative ways of facilitating both parties to achieve a satisfactory resolution. If you would like to explore utilizing alternatives to traditional litigation, contact the offices of Orange County Private Judge and Mediator Commissioner David S. Weinberg (Ret.) at Private Dispute Resolution Services, located in the Newport Beach-Costa Mesa, California area, at 949-376-9933. You may call directly or use the online contact form on the website.